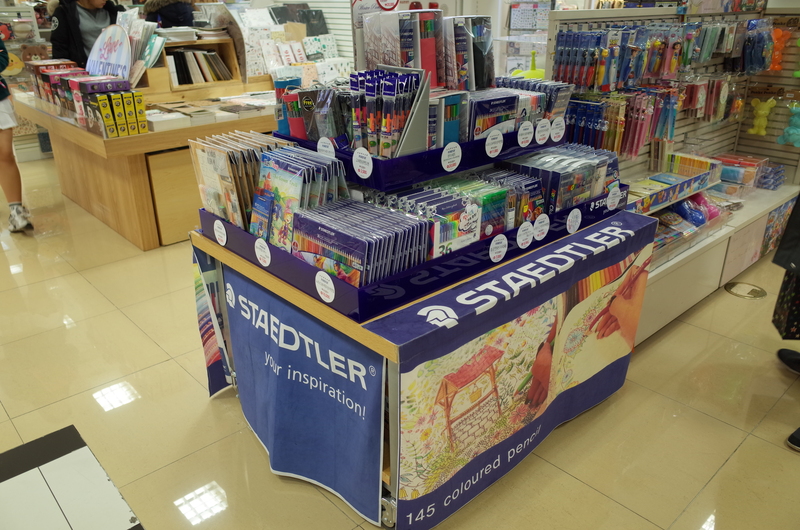 I am spending a very busy two-week vacation back home – but of course some stationery tours are in order. The best part about being back is that I’ve had the chance to meet up with old pen friends and meet new friends I made online. Pens were tested, gifts exchanged and gossip shared. Thank you for a great time! 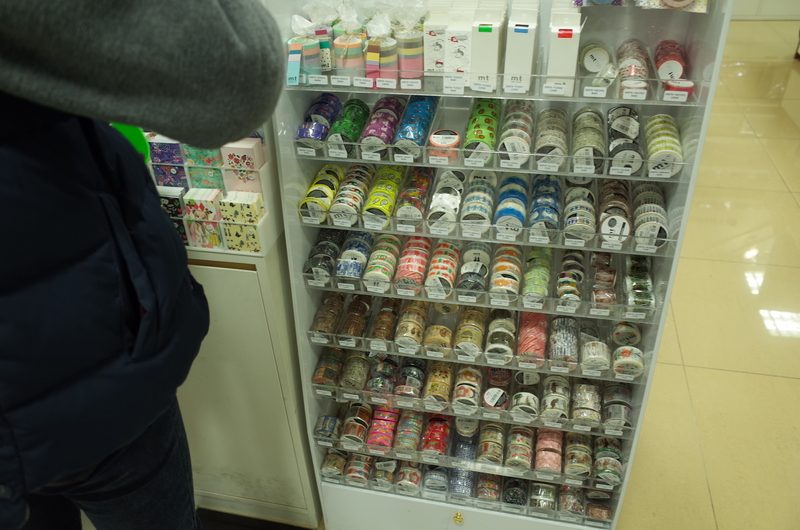 Afterwards we moved on to a big department-store style stationer and bookshop. Bengt & Lotta Fish (left), Flowers (3rd from left), Olle Eksell Work & Fika (black), and Almedahls Italian Flower Shelf. I also stocked up on some Redman pencil cases and some TiTi T-Prime pencils (as I mentioned, these pencils are made by Camel Pencil Manufacturing, which makes the new Craft Design Technology Item No. 32 pencils). Plus an unfamiliar Staedtler, and some interesting Kirin bicolor pencils. 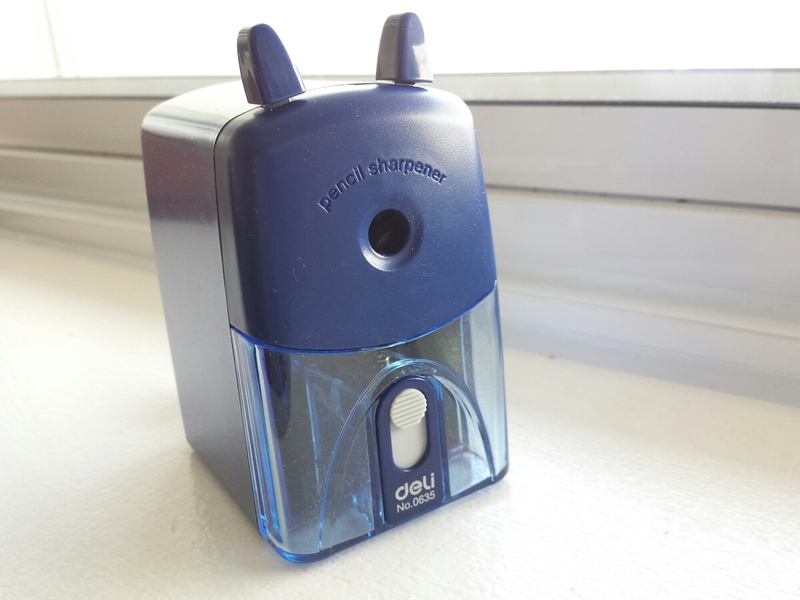 And last but not least, I stocked up on my favorite sharpener, the Deli 0635. It’s sold under the Morning Glory brand here and called the “Dual Sharpener”, but it’s Deli all right – the packaging says so. It comes with a desk mount. The recommended retail price is 8500 Korean won (about 7 USD), but I believe I got it for cheaper. Busy, but more to come! 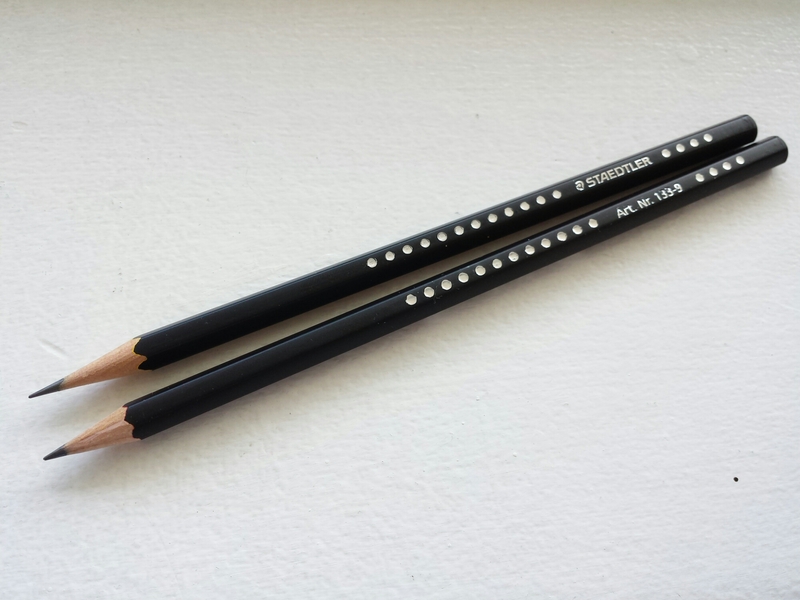 These black, Swarovski-style “studded” Staedtler pencils arrived courtesy of Matthias @Bleistift some time ago. For some reason I like them very much. 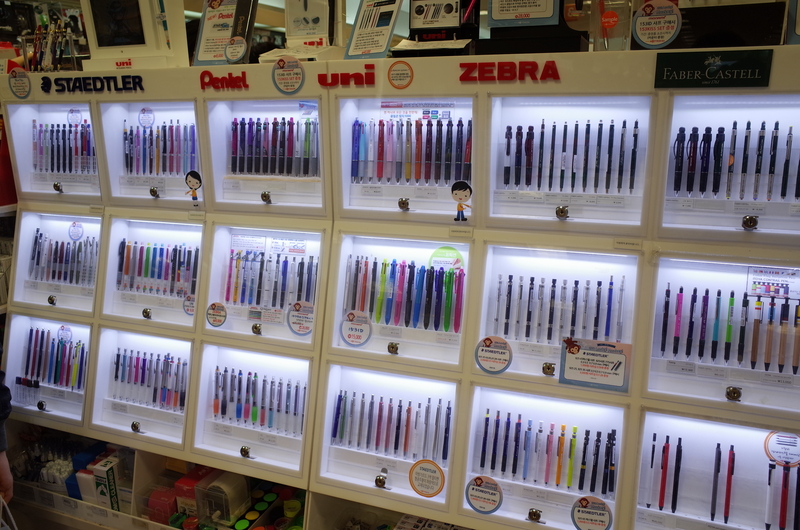 I say “inexpensive” because they seem to belong to the same category as the Faber-Castell Grip 2001 and the Caran d’Ache Grafik, but I haven’t been able to verify that because I can’t find them on any major online shop with price information. Needless to say, I’ve never seen them here either. Does this guy even have a name, apart from “Art. Nr. 133-9”? I’d very much like to know! 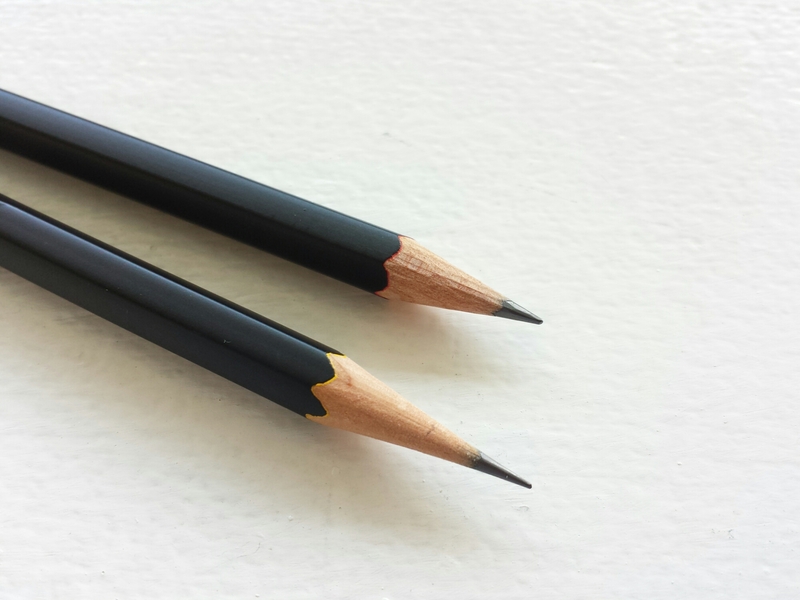 This is the kind of quiet, uncomplicated pencil that performs dependably and doesn’t attract attention to itself in the hand, the kind you reach for when you don’t particularly feel like pampering yourself with a pricey flagship-grade pencil, but don’t want to be annoyed by any scratching or crumbling either. It writes lighter than a Noris, very clean. And the design is pretty classy, too (or maybe it’s just to my taste – I’m not too fond of the Grip 2001). The one above is factory-sharpened, and the one below is sharpened with the Deli 0635, which produces a beautiful, longish cone ever so slightly concave that is reminiscent of the (more extreme) Janus 4048. BTW do you notice the difference in the base coat? One shows some yellow beneath, while the other shows red. Why should that be, I wonder?